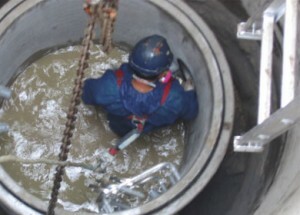 Tri-Phase brings years of combined experience in the implementation, operation and maintenance of both in-situ and ex-situ groundwater remediation systems. In addition to our Ministry of Environment Certificate of Approval for the handling of PCB waste, we also carry a certificate for our mobile water treatment systems. Furthermore, we construct, operate and maintain extensive groundwater recovery and treatment centres for the treatment of groundwater contaminated with PCBs, heavy metals, arsenic, hydrocarbons and chlorinated hydrocarbons. All mobile and fixed treatment facilities meet the most stringent of standards while satisfying cost and objectives related to health, safety, quality and the environment. 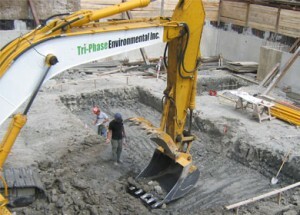 Tri-Phase excavates and loads hazardous and non-hazardous contaminated soil and debris for off-site disposal. We have remediated industrial sites, abandoned manufacturing facilities, operating and occupied institutions, high traffic retail outlets and functioning bulk terminals. 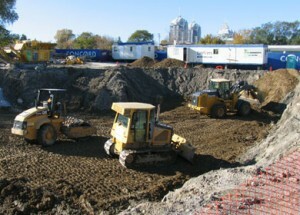 As your complete, one-stop shop, we also provide services related to site restoration, including backfilling, compaction, grading and landscaping. 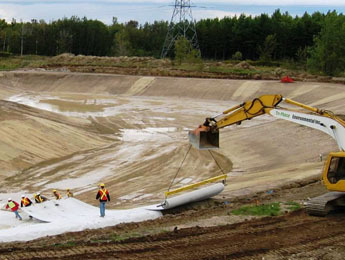 At Tri-Phase, depending on our client’s objectives, and factors such as soil composition and stratigraphy, excavation and disposal may not be a viable option, or the most cost-effective solution. In those cases, our remedial capabilities offer the latest in-situ and ex-situ technologies in treating soil, debris and sludge. We work hard to achieve the highest standards in this field and continually invest in the very latest equipment, plants and training for staff who continually strive to receive the highest qualifications in our industry standards.